Ever wondered how to choose a healthy Betta ( Siamese Fighting Fish ) from a pet store? A lot of Betta fish kept as pets found in a typical household are normally bought from large retail chain pet stores. For the record, I would really recommend buying from relatively smaller family owned fish stores as more often than not they are healthier than those found in the larger counterparts. Family owned pet stores usually started from a dedicated fish hobbyist hoping to make a little extra income and by doing what he or she loves. Supporting local pet stores helps the economy in the area. You are able to support a family by allowing them to earn extra doing the things that make them happy. 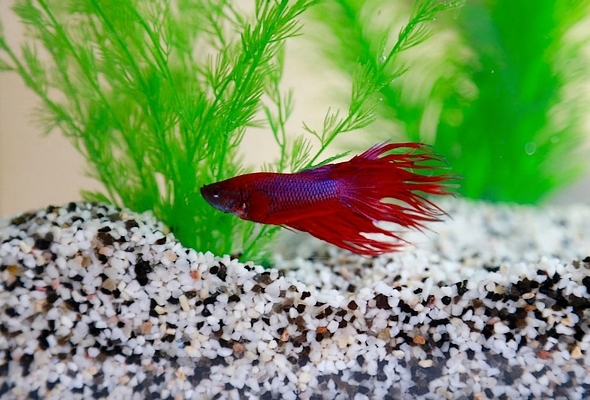 What are the things that you should look for and be attentive to in choosing a new Betta fish? A lot if not almost all of the Betta fish that are available to purchase at stores are already sick or near death from being kept in extremly unhealthy conditions. I believe any ordinary person coming inside a petstore would be able to observe the lethargic Bettas cramped in smaller than a gallon tanks or even worst - cups and bottles. In any case you need to know how these wonderful pets perform in their natural habitat. This would enable you to make an informed decision for buying a healthy Betta fish. Betta Petstore Setup: Are the cups where the Bettas are kept clean? Is there a foul smell. See if the water is not cloudy but rather clear. Check for any leftover uneaten food as this is a indication of poor care and neglect. Betta Color: Bettas are well known for their vibrant coloring. Of course, there are different variations that are pallid or white. However one of the clearer indications of poor health are dull colors in a Betta Fish. Betta Behavior: You want an active fish, floating upright, not spending too much time at the bottom of the cup, tank or container. If a betta fish is motionless it could be resting. Don't tap on the glass as force movement unto the fish or even worst shake the small container. Betta Fins: The fins should be free of wholes or tears, and spread fairly instead of clamped together. It is sad but true that some bored employees entertain themselves in the occasional fish fight. Betta Scales: The scales should be flat and smooth. They shouldn't be loose or peeling, an indication of poor health and possible serious disease. Betta Gills: Make sure the gills are smooth, not red or stringy. It may be an indication of rot. Betta Eyes: The eyes should be clear and not be bulging or sunken. These are some of the things that you should pay extra attention to in choosing a healthy and happy Betta Fish. Keeping yourself knowledgeable will save you a lot of money and stress from buying a Betta that may perish in a few days as well as the costly fish medicines. 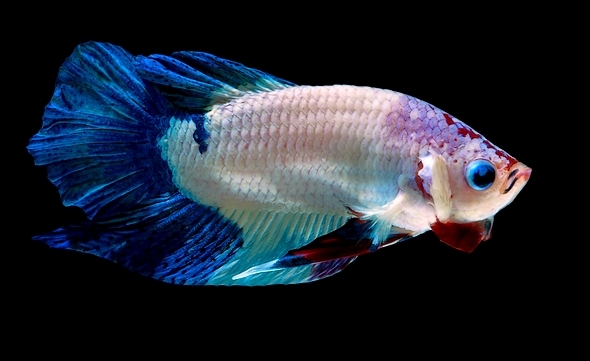 For Show Quality Betta or visit a recommended seller in Aquabid.